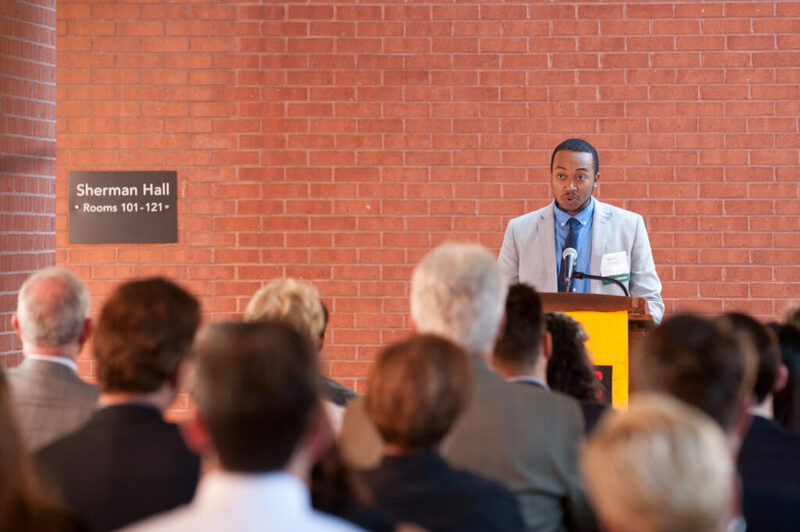 It has been a banner year for UMBC community members committed to improving the quality of K-12 education. 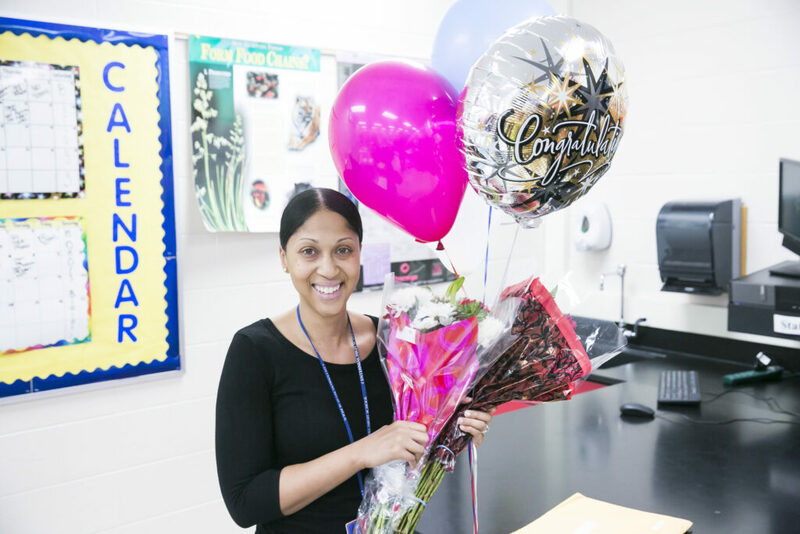 This spring The Washington Post and Baltimore County Public Schools honored two UMBC alumni as teachers of the year. 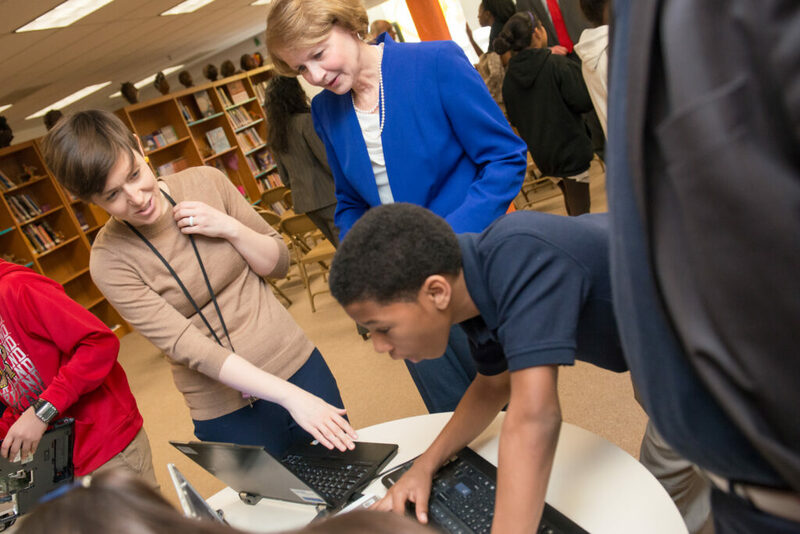 Earlier in 2016 UMBC collaboratively launched a major initiative to boost student support, community engagement, and STEM and arts education in local schools—K-12 schools where UMBC alumni have already had a significant impact as educators. These high profile announcements are emblematic of the UMBC alumni who demonstrate outstanding leadership as teachers, mentors, and role models for children every day. They also are the result of UMBC’s long-term investments in innovative teacher education programs and effective community collaborations, a level of national leadership recognized in recent years by the White House and former U.S. Secretary of Education Arne Duncan. “As the Baltimore County Teacher of the Year, Carter is noted for his enthusiasm, his authenticity, and his work to be a champion for students inside and outside of the classroom,” writes Education Post, in a new story highlighting Corey Carter ’08, biological sciences, ’10 M.A.T. Carter, who teaches science and co-founded the My Brother’s Keeper mentoring program at Old Court Middle School in Pikesville, was named 2016 Baltimore County Public Schools Teacher of the Year earlier this year. Shalonda Holt ’07, biological sciences, teaching certificate in education, shares this core value of supporting students and teachers as whole people with vast potential. Holt was named the 2016 Washington Post Teacher of the Year after previously being selected as Howard County Teacher of the Year. As a biology teacher at Centennial High School in Ellicott City, Holt has been a leader in innovative teaching methods and encouraging students to follow their passion. While Holt teaches in Howard County and Carter in Baltimore County, many UMBC alumni teach in Baltimore City, where UMBC has numerous K-12 educational and student support partnerships, some dating back decades. Three years ago, UMBC President Freeman Hrabowski and Lakeland Elementary/Middle School Principal Najib Jammal met to lay the groundwork for collaboration inspired by the vision and philanthropy of George and Betsy Sherman. The partnership that emerged brought UMBC’s Sherman STEM Teacher Scholars Program, Shriver Center Peaceworker Program, and The Choice Program to Lakeland, and it has already had a major impact. This work reached a significant milestone at the start of 2016 when UMBC, Baltimore City Public Schools, and the Northrop Grumman Foundation partnered to launch a $1.6 million partnership to boost science, technology, engineering, arts, and math (STEAM) education. Among those working every day to make this project a reality are educators like Caryn Horrigan ’09, M.A., TESOL, a Lakeland teacher who has offered steadfast support for students as they actively work through the issues underlying the 2015 Baltimore Uprising. Others are working on these same issues, but in different contexts. Kevin Maxwell ’02, Ph.D., language, literacy, and culture, CEO of Prince George’s County Public Schools, and Margaret Weber ’12, M.A.T., art education, a New York City Public Schools visual arts teacher, recently joined colleagues at UMBC’s 10th Annual Arts Integration Conference, which focused on social justice. Throughout the conference they shared best practices to build cultural awareness, enhance community engagement, and provide opportunities for students to become advocates for social justice both in and out of the classroom. Header image: Caitie Fleming, early childhood education program, teacher in Freedom School at Lakeland, pictured with a student. All photos by Marlayna Demond ’11 for UMBC unless otherwise noted.